A self shielded hard surfacing flux cored wire for superior wire feeding. 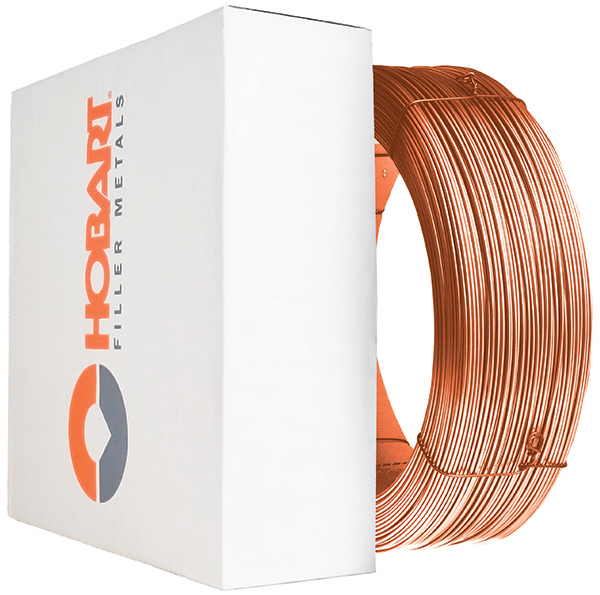 The unique seamless tube construction of Roller Arc allows the wire to be copper coated for enhanced wire feeding and improved current transfer from gun contact tip to wire. This feature of Roller Arc is particularly important for difficult out-of-position applications where long gun cables and awkward gun angles are often unavoidable. Roller Arc is also suitable for conventional open arc hard surfacing applications where resistance to both heavy abrasion and high impact are required. Such applications include the surfacing of crushing and earthmoving equipment, etc. The intellectual property of the Roller Arc design is owned and protected by an ITW subsidiary manufacturer in Germany. The Roller Arc is a Trademark protected copper coated flux cored wire primarily for the “open arc” surfacing of cast iron sugar mill rolls. Often used “in situ” during cane crushing, the chromium carbide/austenitic iron deposit of Roller Arc gives mill roll teeth an enhanced gripping action and superior resistance to abrasive wear.